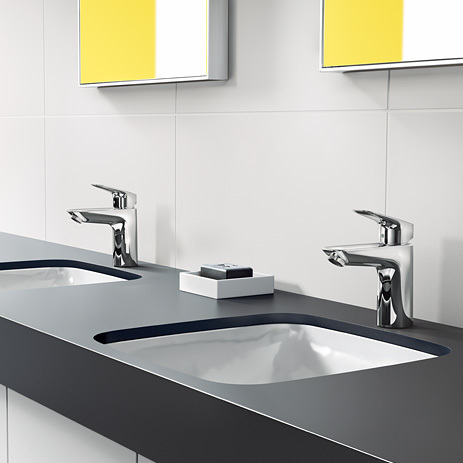 The lightly arched surfaces and clear lines make Logis faucets into a real design highlight. The Logis range from Hansgrohe offers convincing arguments for your customers – it blends in perfectly with many modern vanities and sinks, and with both flat and softly shaped bathroom ceramics. 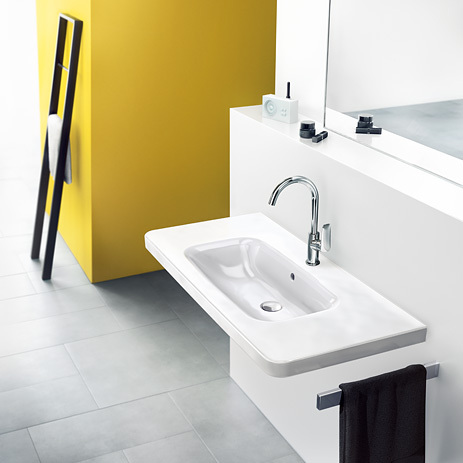 With the Hansgrohe ComfortZone, Logis faucets can be perfectly adapted to individual needs. 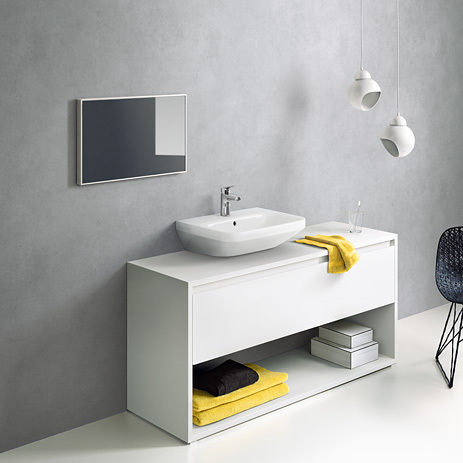 To ensure splash-free water pleasure, the ComfortZone test is used to identify ideal combinations of ceramics and faucets. 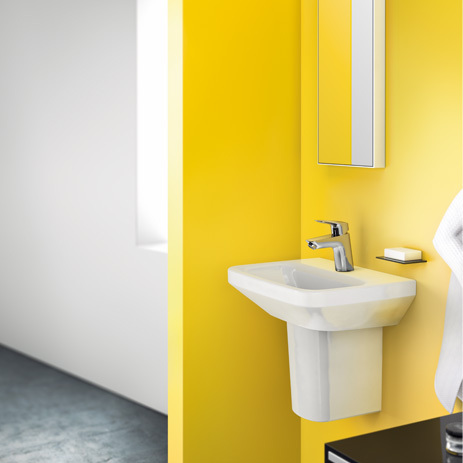 Logis faucets save valuable resources thanks to water volume limitation to 5 liters/minute with EcoSmart, air enrichment with AirPower and through CoolStart technology. The comprehensive range for the ComfortZone. 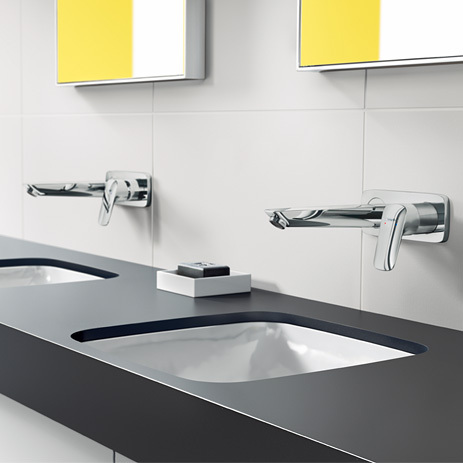 Hansgrohe offers Logis in various spout heights and versions (two-handle or three-hole faucets). Particularly eye-catching: Logis for wall mounting. Logis faucets also impress in the bathtub and shower thanks to their unique design and uncompromising comfort. Available in a range of surface-mounted and concealed versions. 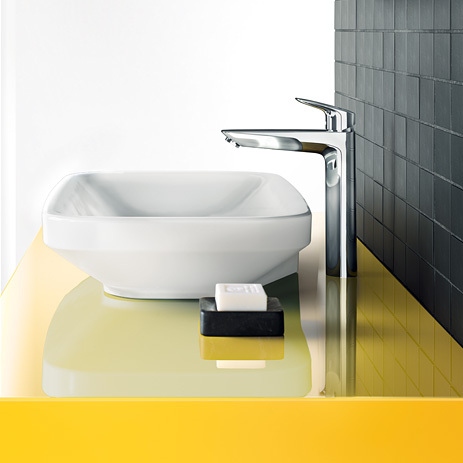 You can adapt Logis faucets to perfectly suit individual requirements thanks to the hansgrohe ComfortZone. 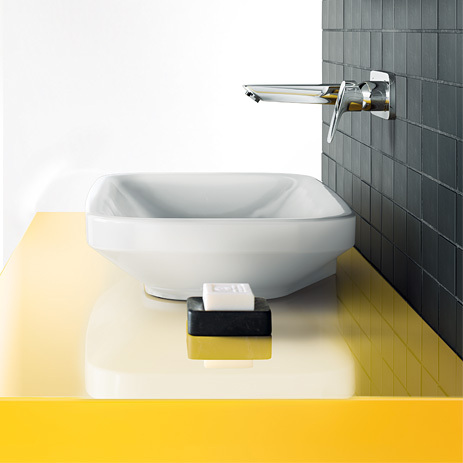 The ComfortZone test identifies ideal ceramics/faucet combinations, guaranteeing splash-free water indulgence. Logis faucets conserve resources: With a water volume restriction of 5 litres/minute thanks to EcoRight, aeration with AirPower and CoolStart technology.